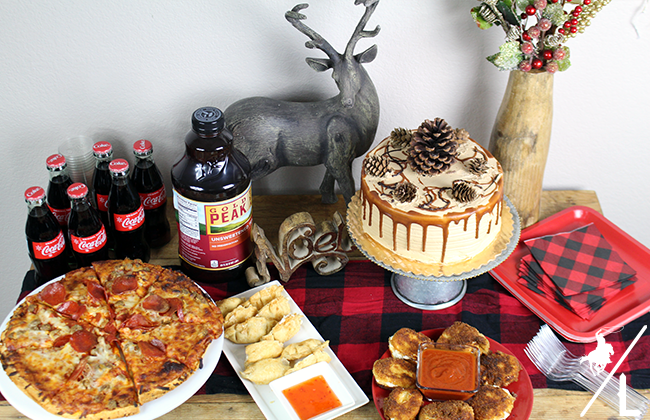 Are you hosting a holiday gathering this year? 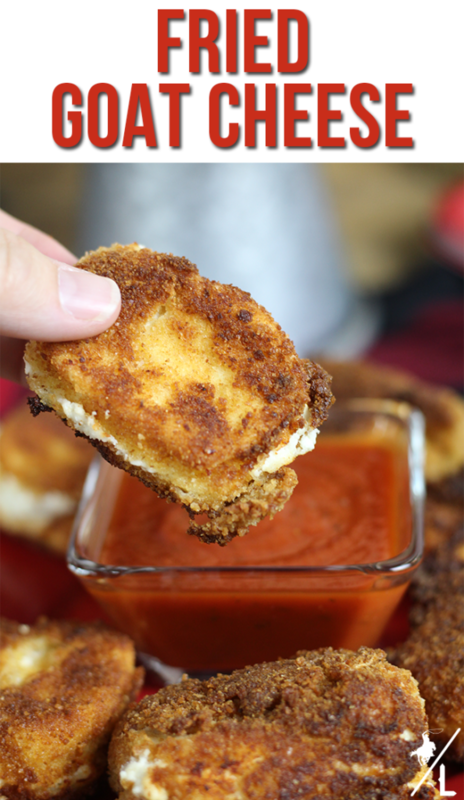 Be sure to make these crispy fried goat cheese appetizers. Having only a few family members over at my house is impossible. My family is so large and everyone has multiple kids. So no matter how small I try to make it, a gathering always turns into a party. Knowing that there will always be a bunch of kids, I make sure to serve food both the kids and adults can enjoy. 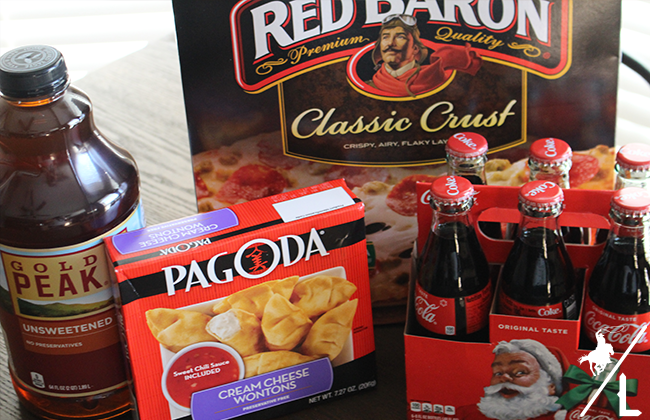 I stocked up on Red Baron pizza and Coca-Cola™ bottles because it’s not a party without glass Coca-Cola. 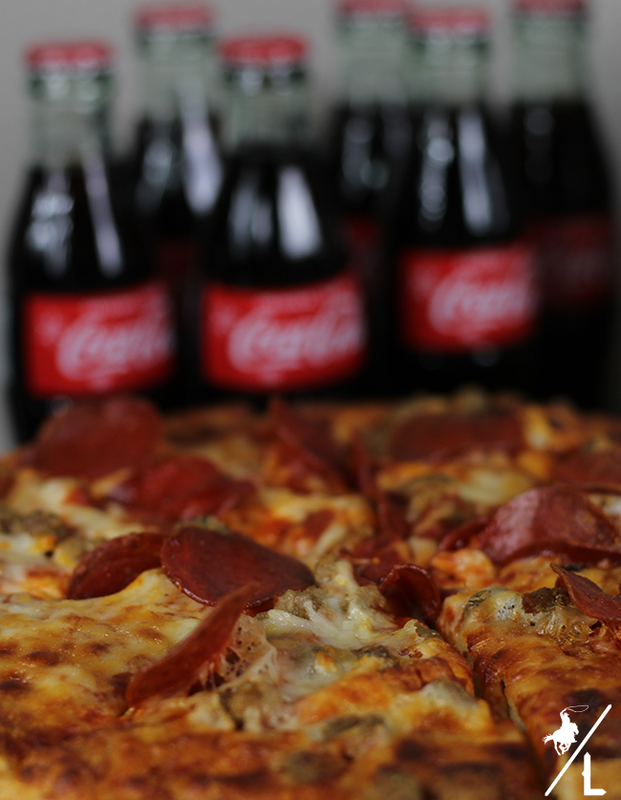 Plus pizza and Coca-Cola taste so good together! 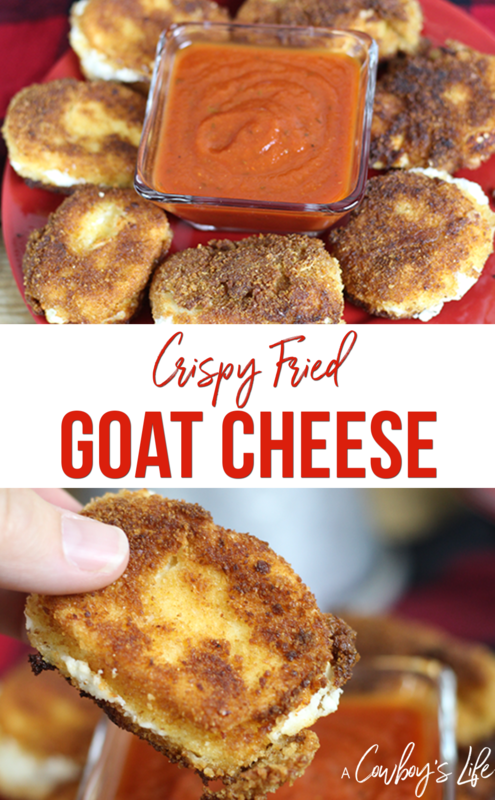 I also bought Gold Peak® Tea and Pagoda appetizers as well as ingredients to make fried goat cheese at my local Albertsons. 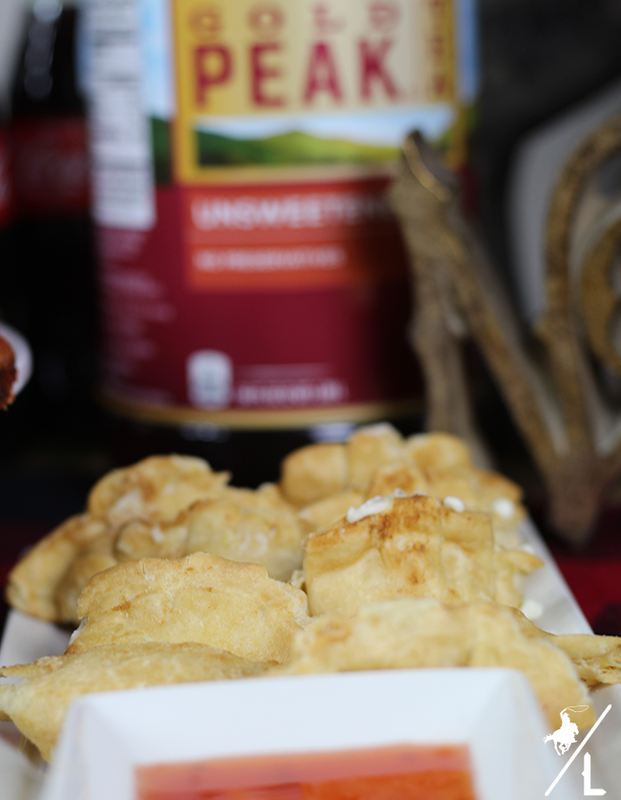 The Pagoda cream cheese wontons are so tasty and go great with Gold Peak Tea. Texans sure do love tea – it would be unheard of and frowned upon if I didn’t offer that to my guests! 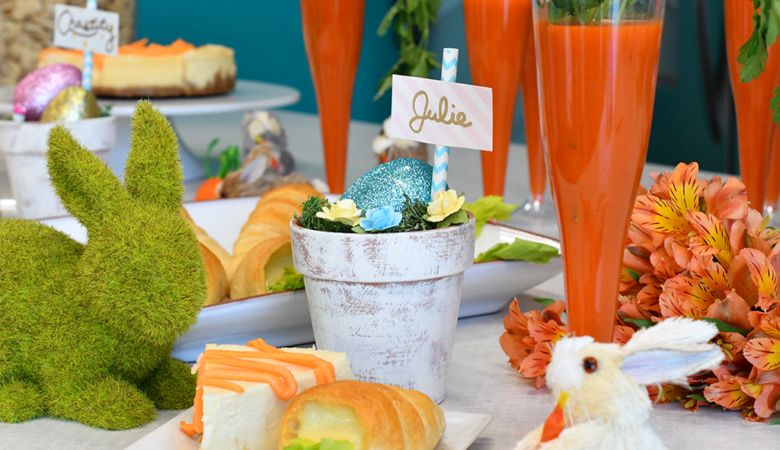 Of course, I can’t throw a party without putting together a fun and festive food table. What’s the point of making great food if you can’t display it? 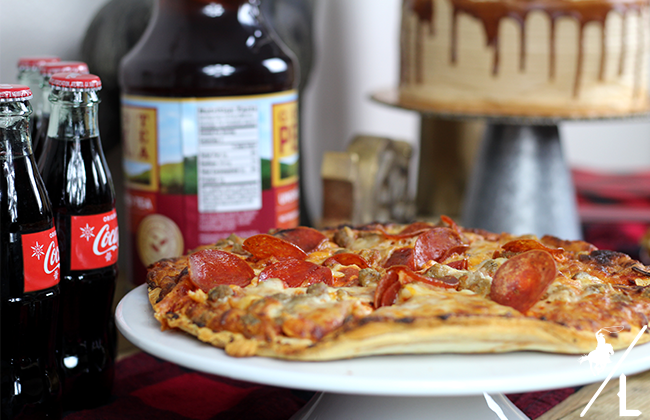 Pizza is my favorite go-to food to serve at parties. 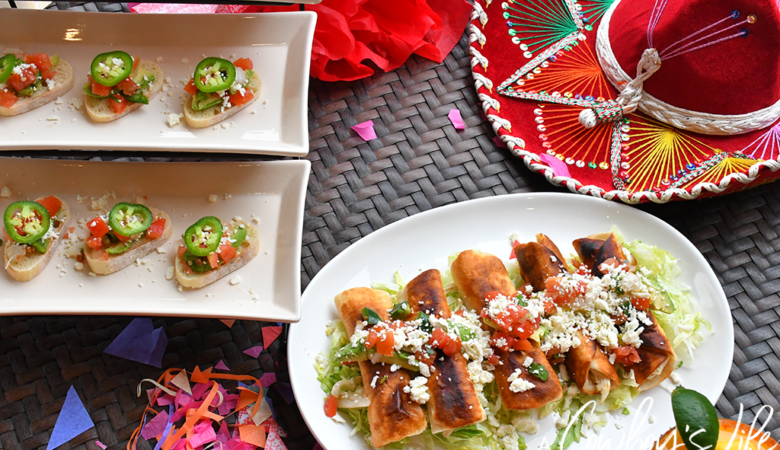 Add a few appetizers, cake, drinks and decorations to the table and you are ready for guests! 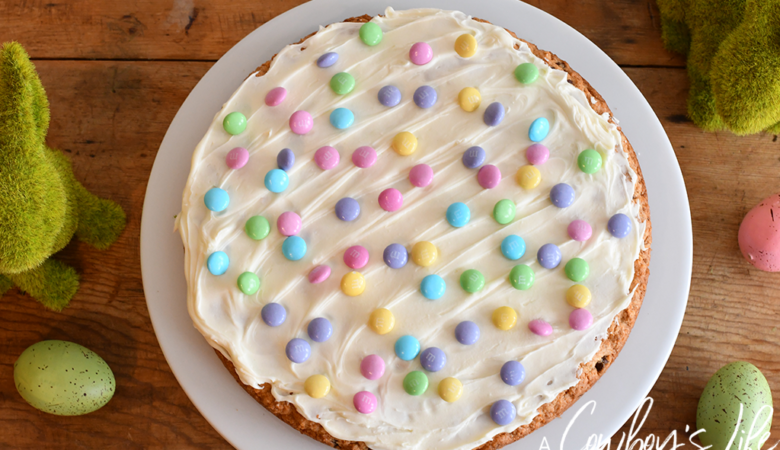 love how I can spend less than 30 minutes in the kitchen making food, add a few decorations to the table and we are ready to party! 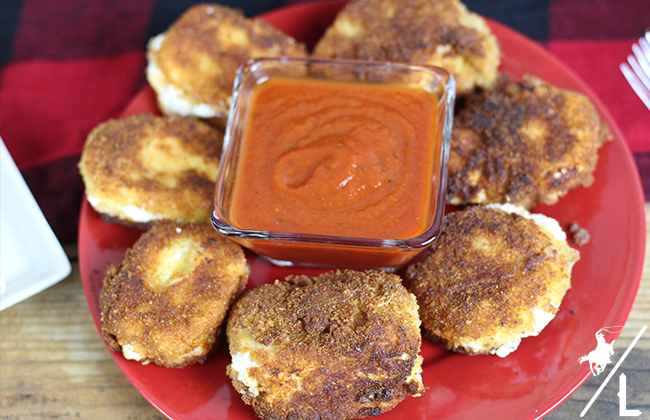 I made these fried goat cheese appetizers to pair with the pizza and they are AMAZING! Place the bread crumbs in a bowl. In a separate bowl, whisk the eggs. Cut the goat cheese into 8 slices. 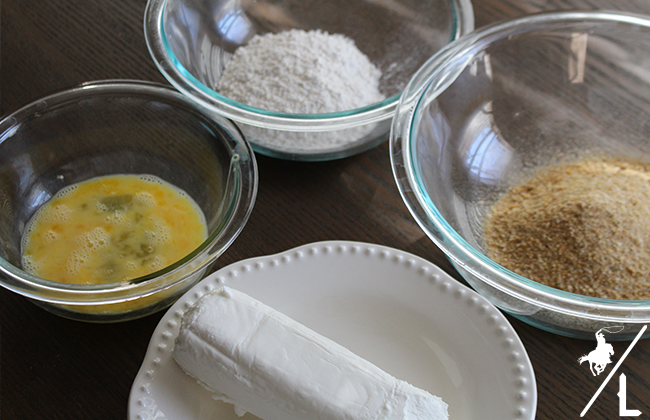 Dip one slice of cheese into the flour. Coat throughly in bread crumbs. Repeat with rest of slices. In a skillet, heat oil over medium heat. 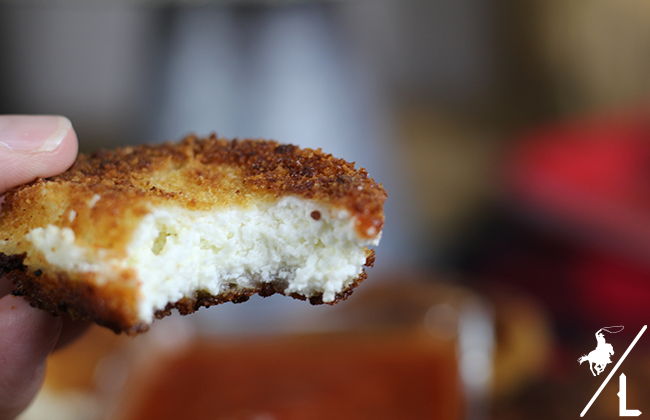 Fry cheese on each side for 30-45 seconds. 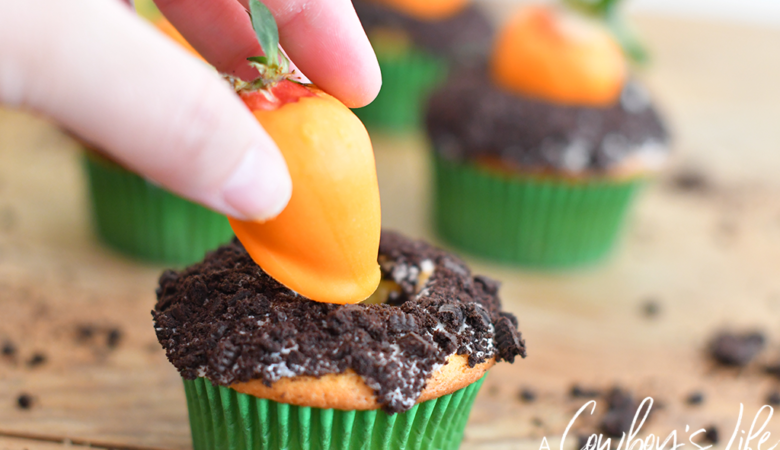 Thank you for sharing a simple way to prepare a party. My family gathering is also a big party and it takes so much time to cook.